When you take an airline flight, you go through a security checkpoint. Along with frowning agents, x-ray machines, and waiting lines comparable to the DMV, one inevitable part of this procedure is the intimidating rectangle everyone walks through — the metal detector. Thankfully, apprehension in this scenario is completely unnecessary. Your dental implants do not concern airport security. Those agents are more concerned about the scissors you forgot to remove from your grooming kit. To help set your mind at ease, let’s discuss dental implants and airport metal detectors. Truly a marvel of modern dentistry, dental implants allow missing or damaged teeth to be replaced by custom-made crowns, designed to look and function like natural teeth, that are anchored to your jaw. Although the materials used for the crowns vary, dental implants are often made from titanium. Titanium is uniquely biocompatible with bone fibers, allowing the metal and bone to tightly fuse together. This critical process is called osseointegration. 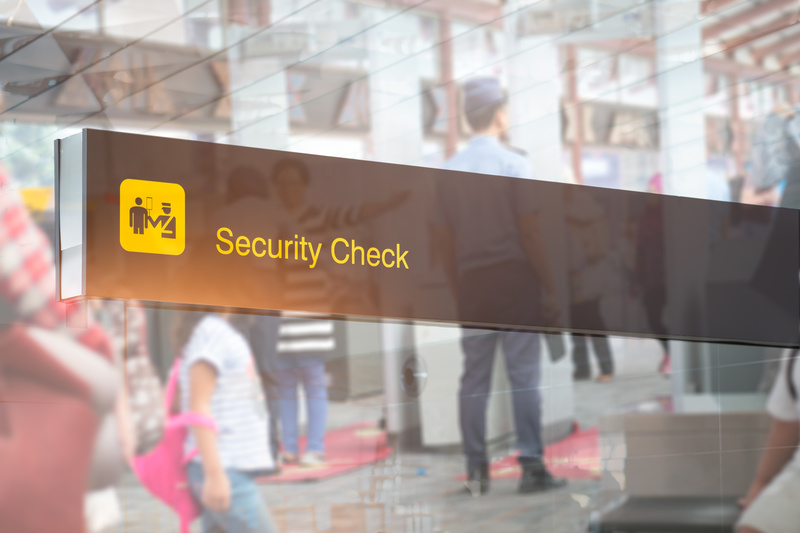 Airport metal detectors use a process called pulse induction to detect discrepancies in magnetic resonance. Using a system of coiled wire, the detector sends out hundreds of electrical pulses per second, creating a very brief magnetic field with each pulse. When a magnetic item interrupts those pulses, it creates an “echo” detected by the machine. The larger the item, or the more magnetic it is, the more of an echo it produces. Titanium dental implants are very small, but more importantly, they are not magnetic. This means a person with titanium implants can be safely examined with MRI or NMRI procedures, as well as metal detectors. Implants simply don’t create a very large “echo” during the pulse induction process. So, when you are in a long security line trying to get to your flight, you can confidently walk through that metal detector. Hold your head up and show those frowning security agents your great smile, reinforced by dental implants from the Placerville Dental Group. Of course, if you have any questions or concerns about dental implants, feel free to contact us online or give our office a call.